Following Kenya’s request that neighbouring countries, Uganda and Tanzania should ban plastic bags in the war against pollution, Dar has announced an embargo on the product starting from July. Single-use polythene bags will not be utilized for commercial purposes or household packaging anymore, Prime Minister Kassim Majaliwa told parliament, warning producers and suppliers to get rid of their wares. According to Tanzania’s Environment Minister, January Makamba, the regulations placing a ban on the item are ready for publication. “It is possible that July 1 will mark the end of the use of plastics in the country,” Makamba said. The directives will be introduced under the Environment Law. Countries in the East African region in recent times have stepped up efforts to curb environmental pollution. While Rwanda pioneered a ban on plastics 11 years ago, Kenya introduced hefty fines on offenders after placing an embargo on the item in 2017. South Sudan and Burundi recently followed suit. Uganda is the notable absentee in the list of the countries in the Horn of Africa who have proscribed the production and use of plastics. Last year, the country’s president, Yoweri Museveni asked security chiefs to enforce a ban on the use of polythene bags and ordered manufacturers to stop making them. 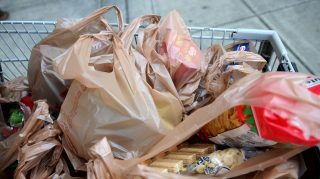 But the directive, which was in line with an abandoned law that barred single-use bags, was not implemented. However, President Museveni has recently enacted the National Environment Management Bill – a bill that gives the government an edge in enforcing the ban on polythene material use.